This is the first known Spoon-billed Sandpiper to arrive on the breeding grounds in 2011 after a long migration from SE Asia. 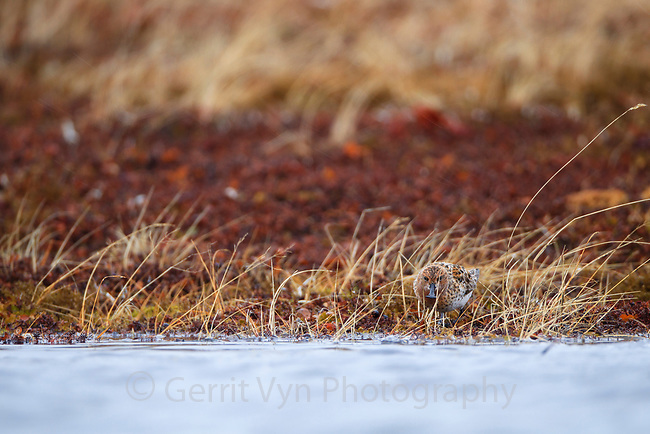 In a cold pelting rain he alternated between roosting and actively foraging along the edge of a small tundra pond. Early in the season Spoon-billed Sandpipers forage along the edges of water bodies and snowfields for invertebrates. Chukotka, Russia. June.